If you have been a following the underground disco scene the past few years, there is a good chance you have heard of Harry Wolfman before. Since 2011, the funk producer from London has managed to release tracks on prominent labels such as Dirt Crew Recordings, Razor-N-Tape, The House of Disco, Under The Shade, MTA Records, and Lost My Dog. 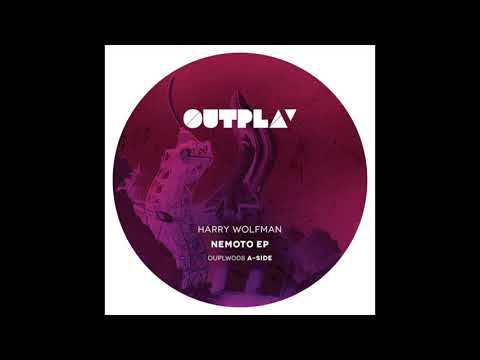 Building a reputation as quite the prolific producer, Harry has decided to add another label to his growing list by coming out with the EP “Nemoto” on Dutch outfit OUTPLAY. For those that are unfamiliar, the label is run by producers Hans Peeman (Junktion) and Daniel Leseman and recently came out with records by some of our favorites like Loz Goddard and Fouk. Now, with Harry Wolfman under their belt, OUTPLAY is beginning to solidify themselves as one of our most reliable sources of house music in the game. In their 8th release, OUTPLAY has put out a four-track array of tunes that do well in showcasing Harry Wolfman’s range as a producer. From down-tempo melodies that sound like they have been taken from space to chopped-up basslines that seem hell-bent on making you dance, Mr. Wolfman shows that there isn’t much he can’t handle in the studio. Although I wouldn’t say this EP will make you sink like the Titanic, it will certainly help you get down! To get yourself a copy, simply follow this link right here.